To mark the 50th anniversary of Edinburgh Printmakers – the open-access art studio facility in Union Street which will soon be moving to an impressive new building in Fountainbridge – this group exhibition has been put together by Glasgow-based writer and lecturer Sarah Lowndes. 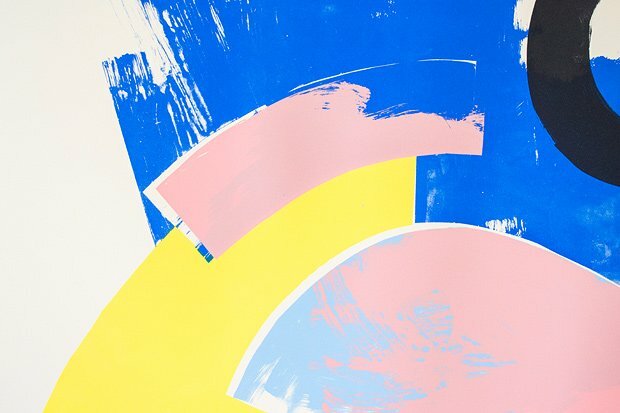 Poster Club – a group of six artists which includes Ciara Phillips and Nicolas Party – have shared a wall of rough designs for what looks like an imaginary magazine named New Erotics, including plays on modernist architecture, cat pictures, images of a copyrighted mouse and class-based sloganeering. Elsewhere, Museums Press (the duo behind Glasgow's Good Press bookshop) deal in dense photographic collages and individual text pieces, while Emer Tumilty provides eye-catching splashes of abstract colour design. If there's a certain slimness to the number of works on show, that's more than likely down to the restrictions on gallery size rather than the wealth of talent involved. Edinburgh Printmakers, until 21 Oct, free.